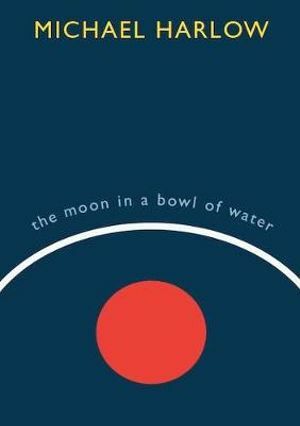 Bound together by myth and music, Michael Harlow's The Moon in a Bowl of Water is a stunning new collection from a poet in complete control of his craft. Harlow is the maestro of the prose poem. 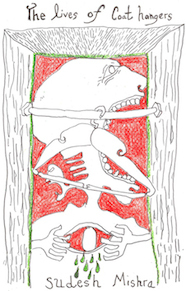 Here he presents a collection of small human journeys, with a strong emphasis on narrative. The work is consciously rooted in Greek mythology and in the idea of storytelling as a continuous river, flowing from the ancients to the present, telling one story on the surface, but carrying in its depths the glints of ancient archetypes, symbols and myths. Each poem is studded with associations that hark back millennia. Harlow delights in the airiness of the imagination and the magic of transformation, especially through the power of language. Words become `thought-birds' that can be caged, coaxed to sing, or allowed to fly, and the poems' sonic after-effects echo and re-echo in the reader's mind and ear. When Dr Ron Jones joined the staff of National Women’s Hospital in Auckland in 1973 as a junior obstetrician and gynaecologist, Professor Herbert Green’s study into the natural history of carcinoma in-situ of the cervix (CIS) – later called ‘the unfortunate experiment’ – had been in progress for seven years. By the mid-1960s there was almost universal agreement among gynaecologists and pathologists worldwide that CIS was a precursor of cancer, requiring complete removal. Green, however, believed otherwise, and embarked on a study of women with CIS, without their consent, that involved merely observing, rather than definitively treating them. Many women subsequently developed cancer and some died. In 1984 Jones and senior colleagues Dr Bill McIndoe and Dr Jock McLean published a scientific paper that exposed the truth, and the disastrous outcome of Green’s experiment. In a public inquiry in 1987 Judge Sylvia Cartwright observed that an unethical experiment had been carried out in large numbers of women for over 20 years. Since that time there have been attempts to cast Green’s work in a more generous light. 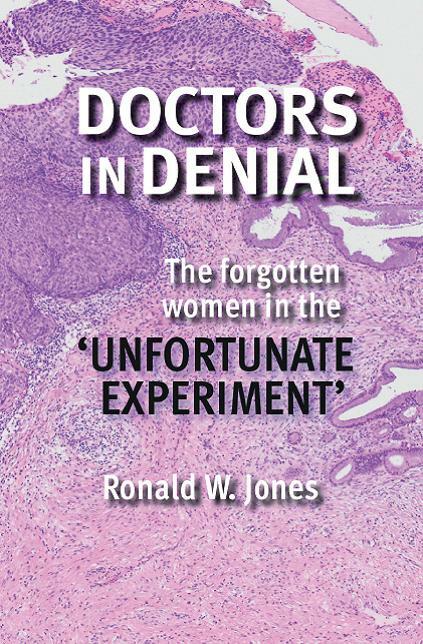 This rewriting of history has spurred Ron Jones to set the record straight by telling his personal story: a story of the unnecessary suffering of countless women, a story of professional arrogance and misplaced loyalties, and a story of doctors in denial of the truth. The air temperature was probably -35 degrees Celsius with wind chill. We couldn’t stand still for long. Our brains felt taxed and our bodies were running on empty. On the Football Field not far from the summit, Sue discovered a square of chocolate. We shared it, telling our bodies we didn’t need more. As we continued the descent, the air warmed and filled with oxygen. We began to encounter climbers heading up. Most knew who we were, incredulously asking: ‘are you the girls who slept on the summit’? – Karen McNeill, ‘A Ridge Too Far: The first female ascent of Denali’s Cassin Ridge’ A schoolgirl races from class to join a weekend trip to the hills. A mountaineering guide recalls his first weeks on the job during the 1920s. A young climber is shown the best route over the Main Divide by a big bull thar. A climbing party is bombarded by falling rock when Ruapehu suddenly erupts. A mountaineer pays tribute to the Māori guides from south Westland, while a fighter pilot tries to recapture an ascent of the Minarets from his tent in Nigeria during World War II. 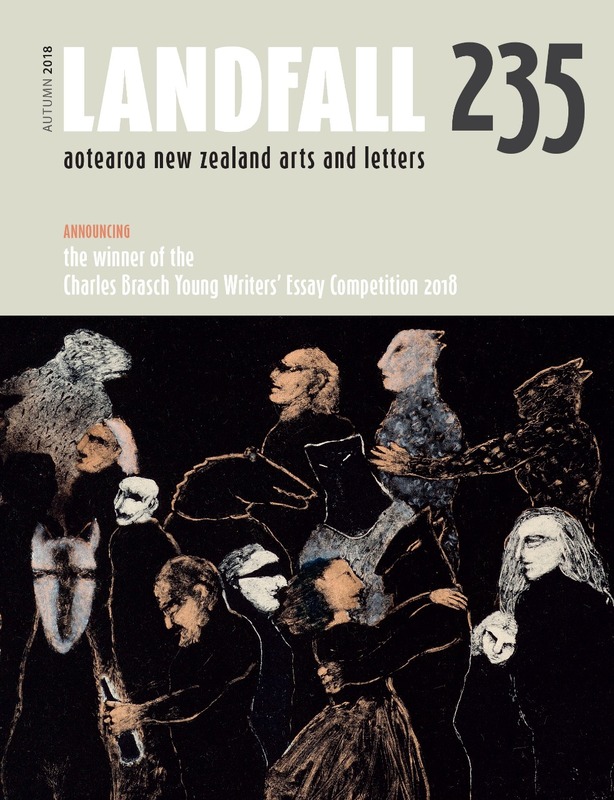 From the Darrans of Fiordland to Denali in Alaska, New Zealand climbers, both experienced and recreational, have captured their alpine experience in letters, journals, articles, memoirs, poems and novels. 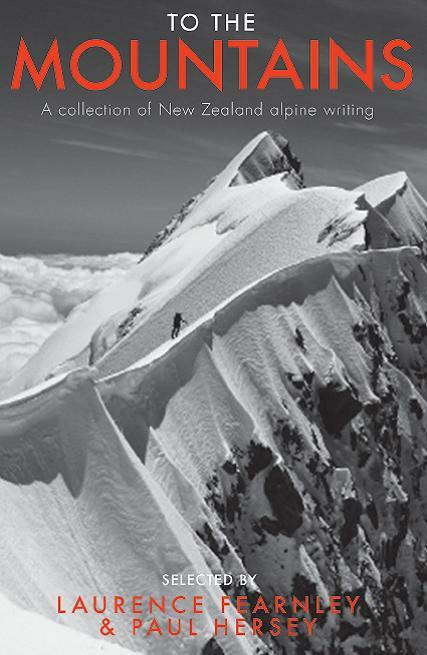 Drawing on 150 years of published and unpublished material, Laurence Fearnley and Paul Hersey, two top contemporary authors, have compiled a wide-ranging, fascinating and moving glimpse into New Zealand’s mountaineering culture and the people who write about it. 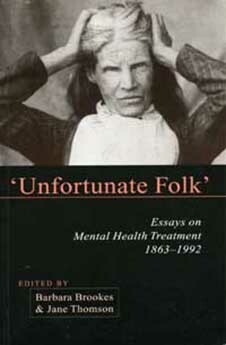 From electro-convulsive therapy to epilepsy, from criminal lunacy to community care, 'Unfortunate Folk': Essays on Mental Health Treatment, 1863-1992, opens windows on to the history of mental health treatment in New Zealand. It is one of the few books available on the history of mental health in New Zealand. A.C. (Archie) Barrington was a leading New Zealand pacifist during World War 2. Incarcerated in Mount Crawford Prison for his beliefs in 1941, he kept an illicit diary, scrawled in the margins of books. 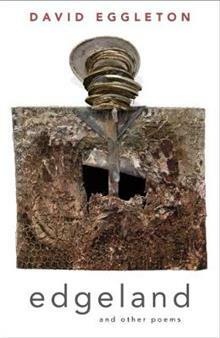 Many years later his son John happened across the diary and painstakingly reconstructed it. Such documents are exceptionally rare – until recent times prisoners were not allowed to keep any record of their experiences and many were illiterate anyway. Barrington vividly and compellingly recorded the squalid, rundown conditions, monotonous and exhausting labour, the intense cold from which there was little protection, and the strategies he and his fellow pacifists adopted to enable them to cope with prison life. John Pratt has edited the diary and provides a fascinating commentary on the issues it raises in relation to prison life then and now. 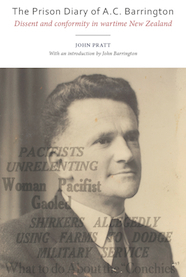 He also addresses a fundamental question – what were Barrington and his like doing in prison, when similar expressions of dissent would almost certainly have been ignored in Australia or Britain? Why was New Zealand, with its ‘fair go’, egalitarian reputation, so intolerant and punitive? Pratt chronicles a history of intolerance, suspicion and deep-seated antipathies that may go some way towards explaining the current penal saturation in this ‘friendly’ land. We know a lot about the early missionaries who came to New Zealand from 1814 and how Christianity developed through their complex interactions with Māori. Less well known are the ways in which settler churches of Aotearoa New Zealand reached out to engage in missionary activity in other parts of the world. 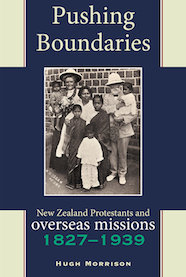 Pushing Boundaries is the first book-length attempt to tell the story of the evolution of overseas missionary activity by New Zealand’s Protestant churches from the early nineteenth century up to World War II. In this thought-provoking book, Hugh Morrison outlines how and why missions became important to colonial churches – the theological and social reasons churches supported missions, how their ideas were shaped, and what motivated individual New Zealanders to leave these shores to devote their lives elsewhere. 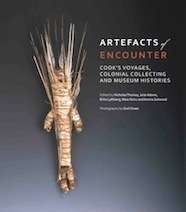 Secondly, he connects this local story to some larger historical themes – of gender, culture, empire, childhood and education. This book argues that understanding the overseas missionary activity of Protestant churches and groups can contribute to a more general understanding of how New Zealand has developed as a society and nation.